Go West! Go East! 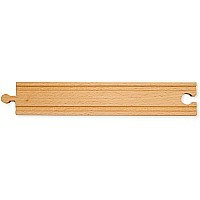 With a bundle of six 8.5" pieces of straight track, your train layout can grow in every direction! Compatible with popular wooden railway systems. Measures approximately: 9.30 x 2.90 x 1.80 inches..